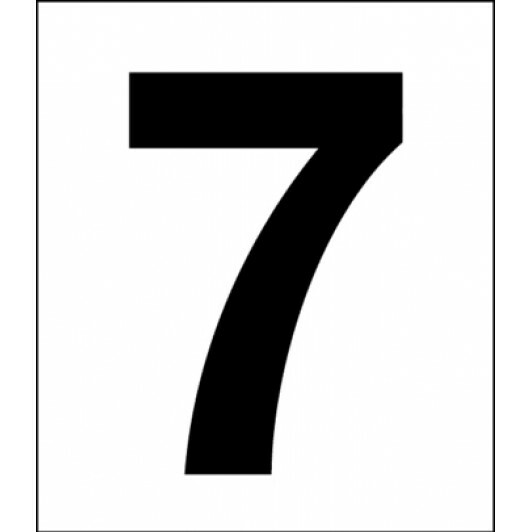 Seven is a very unique number in scripture. No later than Genesis 2, the seventh day marked the completion of the creation week. Creation week was only the first note to a seven beat rhythm that spans the rest of scripture. We learn everything is better when there is seven. Vengeance is complete when it is sevenfold (Gen. 4:15). Noah was to gather seven of each clean animal and seven of each kind of bird (Gen. 7:2-3). Pharaoh’s dream revealed there would be seven plentiful years in Egypt followed by seven desolate years (Gen. 47). Leviticus 25:8 has something overwhelming to say about seven: “And you shall count seven sabbaths of years for yourself, seven times seven years; and the time of the seven sabbaths of years shall be to you forty-nine years.” This is only the overture to this seven beat rhythm. By the time a reader gets to Revelation, he should get the idea that everything is perfectly clear with what shall be dubbed 7/7 vision. In Revelation, this number seven continues to make its mark: there are seven letters to seven churches (2:1-3:22), seven seals (6:1-8:1), seven trumpets (8:2-11:18), seven angels blowing seven trumpet blasts (8:2), seven thunders (10:3-4), seven bowls (15:5-16:21), seven angels pouring out the seven bowls (15:1, 6-8), seven spirits bow before the throne of Jesus (1:4), seven stars (1:20), seven lampstands (1:20), seven kings (17:9-10), a harlot on seven mountains (17:9), seven eyes and seven horns on the Lamb (5:6), and seven diadems on the dragon’s head (12:3). And this is only half the song of Revelation, as there are 55 uses of the number seven in this book alone, (Resseguie, James. The Revelation of John. Grand Rapids: Baker Academic, 2009). The widely accepted conclusion about the number seven in biblical literature is summed up as follows, “Seven is a number associated with completeness, plentitude, or perfection,” (ibid.). And, while this number does relay completeness, it also conveys the true nature or reality of a person, thing, or situation (Wilcock, Michael. The Message of Revelation. Downers Grove: Inter-Varsity Press, 1973). This number helps alert the reader to see the environment for what it is really is. John’s use of seven allows his reader to see the true nature of God, Satan, and the spiritual realities of life. Instead of a mere man, John sees the Christ as He really is- a king with, “Seven horns and seven eyes,” (Rev. 5:6) victoriously riding on his white steed to make war (Rev. 19:11-16). Instead of a harmless sheep (Mt. 7:15) or an angel of light (2 Cor. 11:14), John sees Satan for what he really is- an ugly and dangerous, “Red dragon having seven heads and ten horns,” (Rev. 12:3) ready to devour the children of God (Rev. 12:1-5). This is 7/7 vision. ​John’s 7/7 vision allows him to see many spiritual realities. He sees the church, not as an inglorious afterthought to be maligned, but as the very bride of Christ (Rev. 19:6-10). John sees Satan’s agents of sin, not as innocent trifles to peddle with, but as a vile prostitute sitting on a horrific beast, inviting the masses into her brothel of filth (Rev. 17:1-6). Why do we not see as John sees? Why do we not see the enemy and his agents in our lives for what they are? The answer is not because these realities have been kept secret, for John and others give us the glasses to look through. The answer is our own numbness. We quickly become numb to Satan’s devices. Just as a diabetic cannot feel the rotting away of his fifth toe; likewise, intelligent human beings cannot feel Satan’s leeches sucking their spiritual life away. Satan’s leeches thrive in the incubated environment of safety, entertainment, free enterprise, and the inalienable rights of U.S. Citizens. These are the words that parade the welcome sign to his brothel. Unfortunately for most people, it is not until these luxuries are removed that they can see Satan is indeed a brute beast full of lies. King Agur was the exception when he said, “Give me neither poverty nor riches. Feed me with the food allotted to me; lest I be full and deny You, and say, ‘Who is the Lord?’” (Proverbs 30:8-9). ​You can have 7/7 vision too. Follow this plan, “Let no one despise your youth, but be an example to the believers in word, in conduct, in love, in spirit, in faith, in purity. Till I come, give attention to reading, to exhortation, to doctrine,” (1 Timothy 4:12-13). Meditate on these things and gut your life of all Satan’s devices. ​​God has always cared about His peoples relationship to the world around them. Because of this there is a balance we are to find between going into the world to spread the Gospel (Matthew 28:18-20) and recognizing that we are not of this world (John 15:19; 18:36). 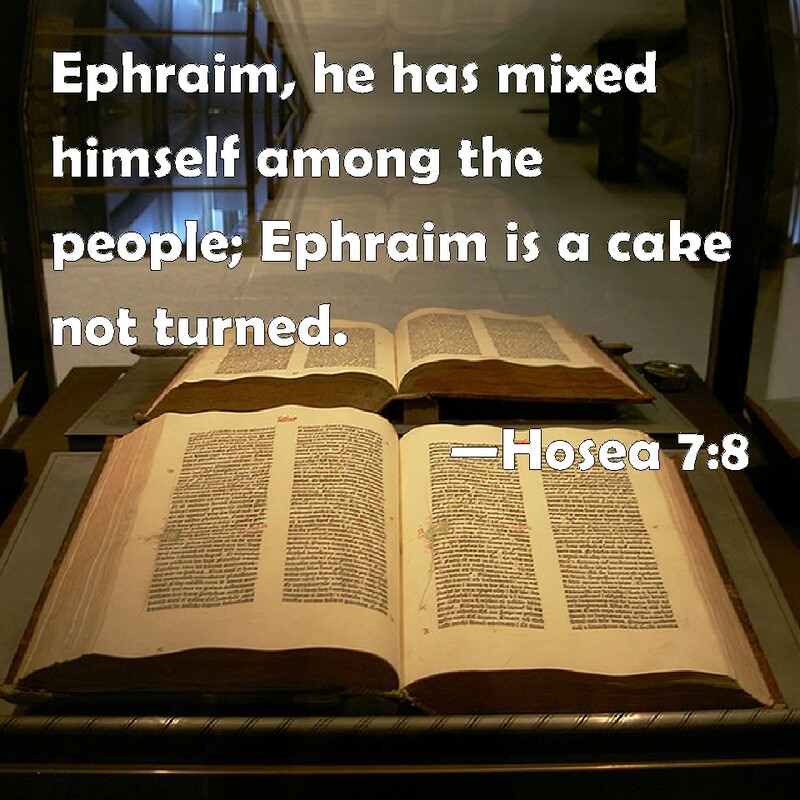 To illustrate how important it is to keep oneself unspotted from the world God used the illustration of a baker who left his cake in the oven a little to long, sayingthat “Ephraim is a cake unturned” (Hosea 7:8). Literally, Ephraim (All of Israel) is a cake that has been burned. Why? Because they had mixed themselves with the world (Hosea 7:8), in their actions, alliances, and their worship (Hosea 5:10;7:8;8:8). ​In like manner today, when we become Christians our relationship with the world changes (1Peter 2:9). Israel as burnt cake is given to us as a warning lest we as “The salt of the earth should lose our flavor. Then [being] good for nothing but to be thrown out and trampled underfoot by men” (Matthew 5:13).Yet far to often Christians find themselves walking the line with the world as they mix their Godly light with the darkness of the world. Paul makes this clear in his second letter to the Corinthians saying that our relationship to the world is one that would be an ‘Unequally yoked” relationship. Paul anticipates our questioning of this, and gives five reasons why. (1) Righteousness has no place with lawlessness. (2) Light doesn’t mix with darkness. (3) Christ has no fellowship with Satan. (4) Believers (Christians) have no part with unbelievers. (5) The temple of God doesn’t agree with Idols (2 Corinthians 6:14-16).